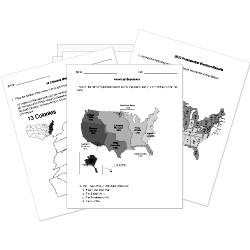 You can create printable tests and worksheets from these College Africa and Middle East questions! Select one or more questions using the checkboxes above each question. Then click the add selected questions to a test button before moving to another page. What is the largest religion in Africa? Africa is the world's second-largest and second most-populous continent? What is the largest coffee producing country in Africa? What are the colors of the South Africa Flag? Nomadic Arabs that wandered the desert and did not have permanent homes. As of 2009 what is Africa's total population? The crossroads for the Middle-East trade routes. Muslims did not force conversion to Islam, but did encourage it. Muslims allowed people to serve in their government that were not Muslim. Muslims adopted the number system from Europe. How many Iranian prisoners were freed in exchange for the release of over 2,000 Syrians?